Indian Rupee got a new face when on July 15th, 2010 Union govt. of India approved a new design selected from 3000 entries submitted by the common people of India. 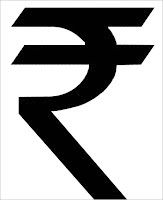 This symbol will give Indian currency a new look and will distinguish Indian Rupee form the Rupee/Rupiah/Rufiyaa of Pakistan, Srilanka, Nepal, Seychelles, Maldives and Indonesia. Some news sources have wrongly type-able using keyboards. Soon Indian keyboards will come inbuilt/dedicated key for the symbol. 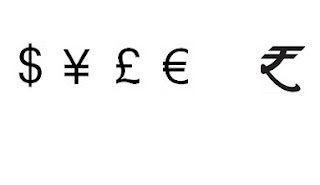 Among currencies with distinctive identities, only the pound sterling has its symbol printed on the notes.